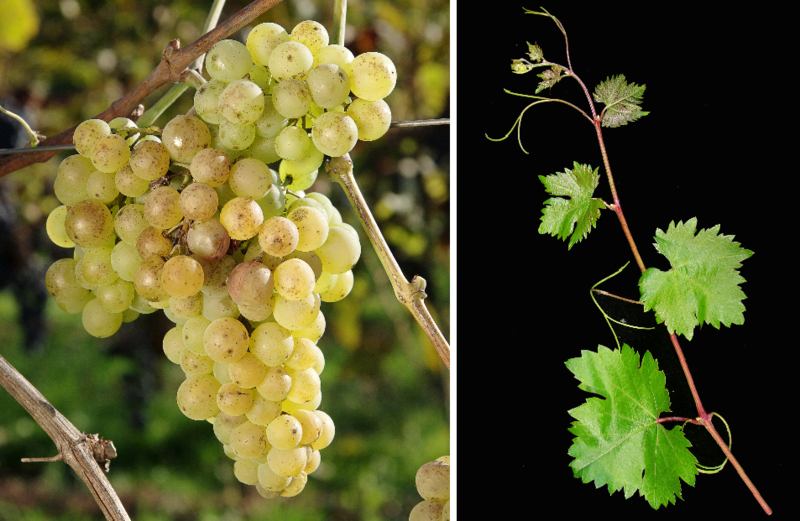 The white grape is an interspecific new breed between Mézes Fehér x Eger 2 ( Villard Blanc ). Synonyms are Eger 28 and Lakhegy Mézes. They are genes of Vitis berlandieri. Vitis rupestris and Vitis vinifera contain. The intersection of hybrid took place in 1957 in Hungary by József Csizmazia, The vine is resistant to different fungal diseases, In 2010 was in Hungary an acreage of 306 hectares. This page was last modified at 31 March 2019 at 11:48.